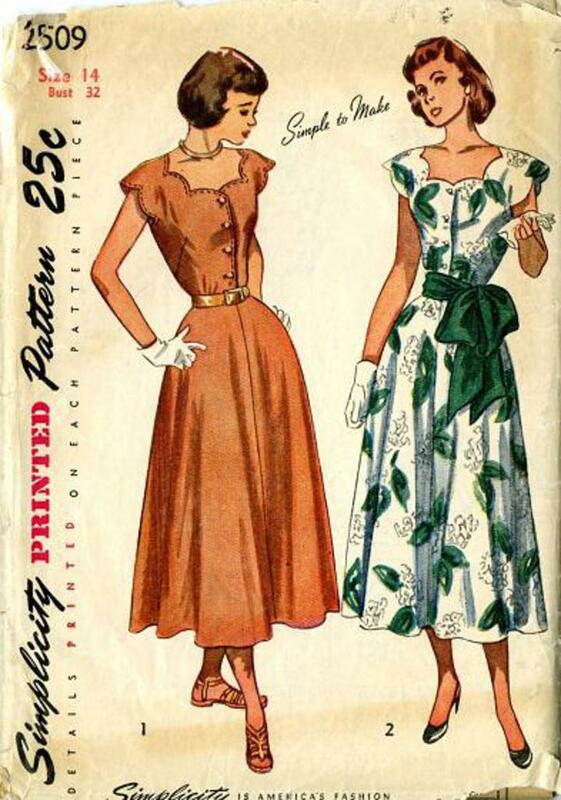 1948 Simplicity #2509 vintage sewing pattern, misses' scallop neckline shirtwaist dress. 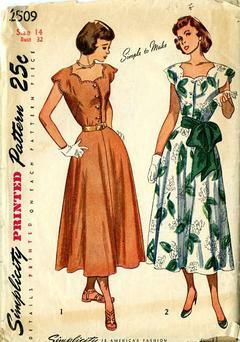 The front-buttoning bodice is styled with scallops at the neck and armhole edges. The softly flared skirt, cut on the bias grain is seamed down the center front and back.